Hallmark's appointment at Jaguar is part of a restructuring of Jaguar Land Rover's marketing and sales division. Saab's sales boss, Adrian Hallmark, is quitting the Swedish automaker to become Jaguar's global brand director. Hallmark, 48, will have global responsibility for the Jaguar brand and will take up the post Dec. 1, Jaguar Land Rover said in a statement. Hallmark, a former executive vice president of Volkswagen of America, joined Saab in March, two months after Dutch supercar maker Spyker Cars NV bought the ailing brand from General Motors Co.
His new appointment is part of a restructuring of Jaguar Land Rover's marketing and sales division after the company said last week that Jaguar Managing Director Mike O'Driscoll, 54, is retiring from day-to-day operations at the end of March 2011. Other new board-level appointments, also effective Dec. 1, will see Land Rover Managing Director Phil Popham move to the role of Jaguar Land Rover's director of global sales and service operations. Popham, 45, will have management responsibility for the global sales and after sales operations of both brands, overseeing the company's national and regional business units and the dealer network worldwide. John Edwards will assume global responsibility for Land Rover as the SUV maker's global brand director. Edwards, 48, is currently managing director for Land Rover in the UK and Central Europe. 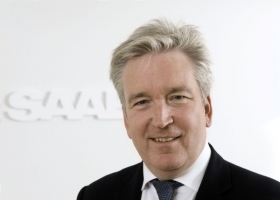 Mike Wright will take up a newly created role as executive director of Jaguar Land Rover. Wright, 57, is currently director of customer services. He will continue to focus on the development of financial services globally and special vehicle operations for both brands, and will take on additional responsibilities relating to the development of corporate strategies, JLR said. All four executives will report to Jaguar Land Rover CEO Ralf Speth. A Jaguar Land Rover statement said the new organizational structure will accelerate the company's progress towards developing a strong and consistently profitable global premium automotive business centered on the Jaguar and Land Rover brands. "These new appointments and the new structure significantly strengthen the marketing and sales organization for the Jaguar and Land Rover brands within the framework of one globally successful company," Speth said in a statement. "The changes will also ensure that the voice of the customer is heard even more clearly at the most senior level in the business."